The houses are in second row, so they are only a few hundred meters from the beach. We rent out both houses - the biggest house - is rented out by an agency, and the other house we rent out ourselves. We often stay in this house ourselves, and therefore you have to contact us, if you want to rent this house. 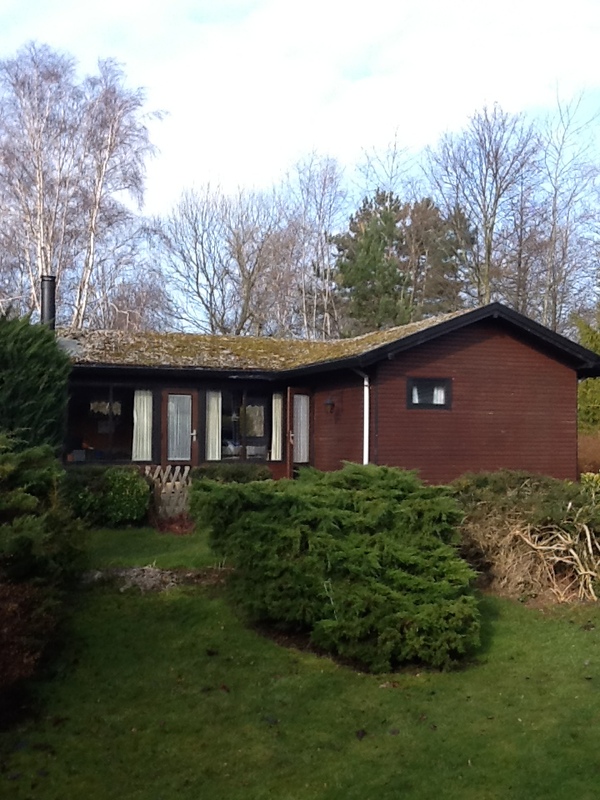 The / house/cottage, which is about 58 m2, is build in 1971, so it is an older house - but very cozy. We have renovated part of the house, but there are not so many modern facilities such as a dishwasher. There are 3 bedrooms with total of 6 beds. The first bedroom has a double bed, while the other 2 bedrooms each have 2 single beds. Living room and kitchen are combined. The living room has a television (also with German tv- channels), radio and a new wood burning stove/ fireplace. The kitchen has a electric stove, an oven and a fridge with a small freezer. Bathroom with toilet and shower. In the toolshed is a bigger freezer and a charcoal grill. In the shed there are also some dry firewood, that you are welcome to use. 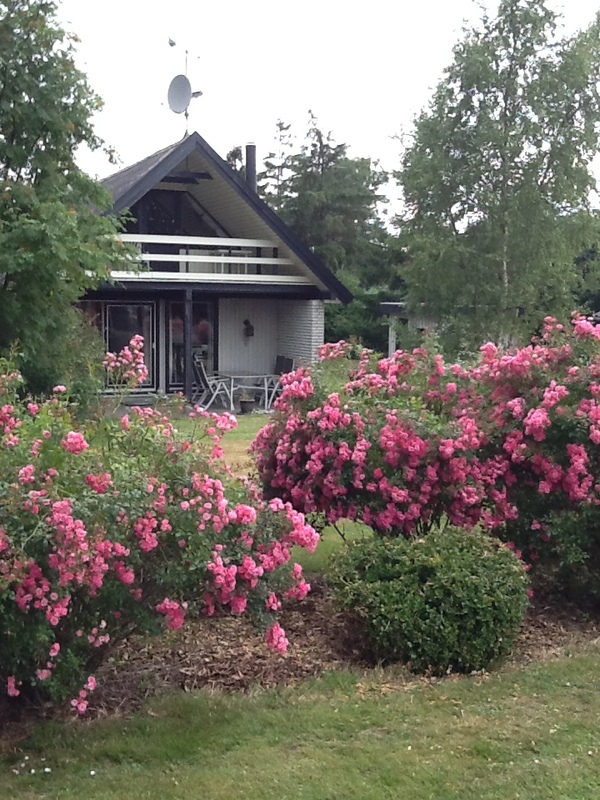 At the bottom of the Danish page you can see some pictures of the cottage. 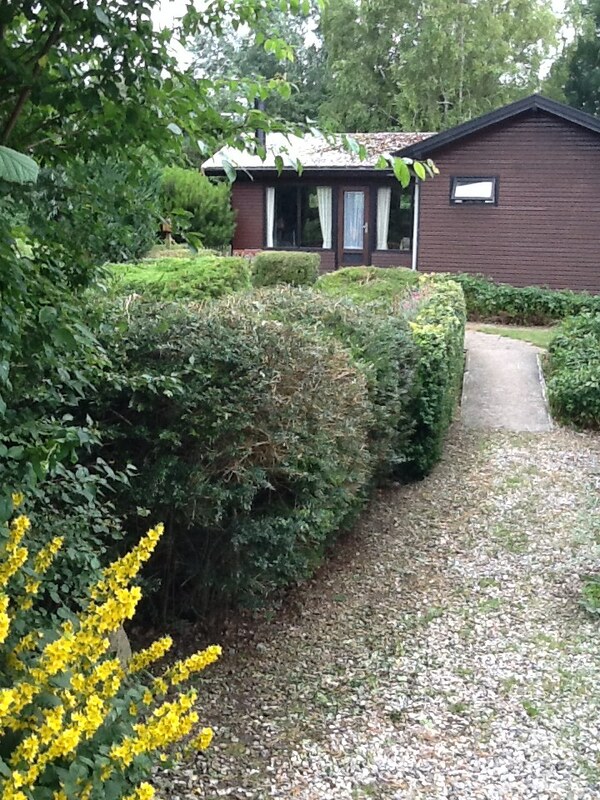 There is a front garden and a back garden - both with many trees and bushes, so it is very sheltered in the garden. The rent for this house is 2.100 danish kroner/week + payment for electricity and water consumtion. We ask our guests to clean the house after their stay, so the house is ready for new guests. Please contact Anita and Kenneth on phone + 45 60659426 or +45 51449426 or on e-mail akak2001@hotmail.com if you are interested in renting the house - or if you want some more information. This house is normaly rented out through the agency "Torben Hansen Ferie", which has an office a few miles from the holiday house. The house is 86 m2 and has 2 floors. On the ground floor there is a kitchen, living room with a wood burning stove/fireplace, a bedroom with a double bed and acces to a terrace and a bedroom with two bunk beds. First floor has a large living room with a balcony at each end. From the east balcony you have a good wiew to the sea. In one end of the living room there are 2 single beds. Just beside the house there is an annex with a double bed. That gives a total of 8 beds. The rent for this house is from 3.500 danish kroner/week + payment for the amount of electricity and water that you use.